If your house is anything like mine, we have Olympic fever. As soon as the theme song comes on, all heads snap to the TV to see what event is competing. Major events like the Olympics bring us sitting together as a family. This is a great opportunity to build bridges and connect with your kids. How about an Olympic Family Devotion?! Do you know what the Olympic Rings symbolize? There are five rings. Each ring represents one of the regions of the World — Africa, Asia, the Americas, Europe, and Oceana. The rings are blue, yellow, black, green, and red. If you look at all the National flags of the World, you will see that every flag has a color represented. A ring is a symbol that never ends. This is the love God has for us. Read Jeremiah 31:3. If you ever need a reminder of God’s faithful love, find a circle. Hold it and remember that His love for you never ends. It won’t run out. It is faithful. Here are some fun, family games to connect and take the learning to a tangible level. All you need are a few Hula Hoops. Put several hoops on the floor. If you have enough hoops for each person, that is ideal, it also works with more than one person in a hoop. You will need a large area for this. The driveway will work if you want to take it outside. Everyone needs to be standing in a hoop, with it on the floor. Gently bump the hoops into each other like bumper cars. Play music, then stop it suddenly. When the music stops, everyone freezes. Yell “Switch Hoops!” and everyone runs to a different hoop. You can make it an elimination game by taking away hoops. If more than one person in a hoop – Everyone will have to squeeze into the remaining hoops. If each person has their own hoop at the start of the game – someone will sit out until there are only two remaining. Stand in a circle and join hands. Put a hoop in the circle, by unclasping two hands and inserting the hoop. Join hands through the hoop so it rests on the arm. You can add another hoop and send it around the circle in the opposite direction. It is possible to keep the hoops going in opposite direction, even when they cross! Don’t forget about doing what hula hoops do best! Hula with them! Have a competition! But most of all, have fun. While the hoops are going round and round, remind your children of God’s faithful, never-ending love. Celebrate the Olympics, and celebrate God’s faithful love. When you build bridges and connect with your children, you are giving them the gold. 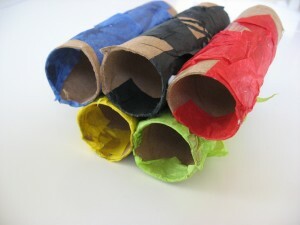 Posted in Uncategorized and tagged Family Devotional, Hula Hoop Games, London 2012, Olympic Games, Olympic Rings, Olympics. Bookmark the permalink. As we anticipate the Opening Ceremony of the Olympics, athletes are being interviewed and featured all over the TV. Today I’m going to feature MY Olympic Hero! I am 23 years old (as of yesterday) and have been practicing Judo for 6 years, but have geared my life towards sports ever since I could walk. I was born with no vision problems and found out at the age of 8 that I would one day lose all of my sight and be completely blind. I played soccer from the ages of 4 to 12 and only gave the sport up because I could no longer see well enough to keep up with the game. At 12 I was not going to be stopped by the slow loss of my sight, and was determined to find a sport I could excel in with my limited vision. I tried a number of different sports but none of them kept my interest for very long. At the age of 16 I was introduced to Judo. I fell in love with the sport, and the rest is history. Since then I have dedicated my life to excelling in Judo in hopes that I may one day represent my country in the Paralympic Games. I have been training at the Olympic Training Center in Colorado Springs off and on for the past few years in preparation to qualify for the London games. I have qualified and have secured my spot in the 57 KG (125.6 lb) division to compete in the 2012 Paralympic Games in London. I am currently training and preparing to reach my goal of not only competing at the London games, but bringing home the gold for the USA! We love you Jordan and are cheering for you!!! Bring home the GOLD! While we are inundated with stories about the Olympic Games, America is just starting to recognize the Paralympic Games. Did you know it is the second largest To read more about the Paralympic Games, go here. Posted in Uncategorized and tagged Jordan Mouton, Olympic Games, Paralympic Games. Bookmark the permalink.